Who’s Blacker: Oprah or Sojourner Truth? 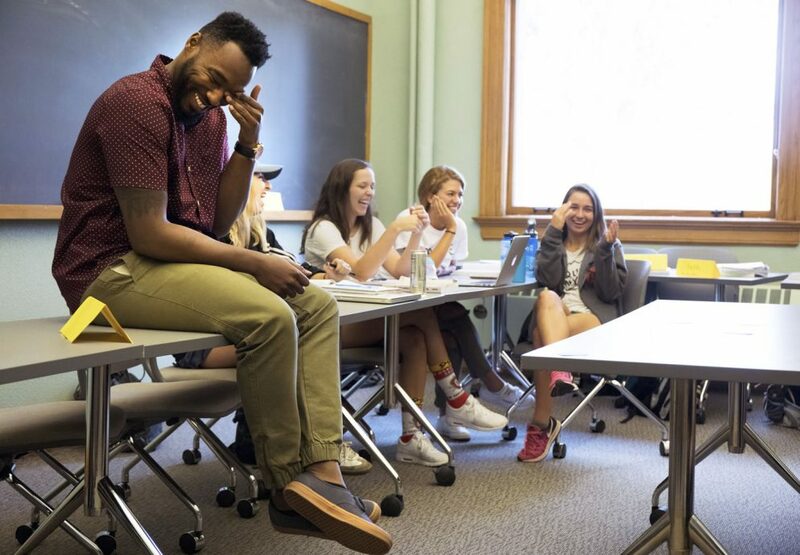 Assistant Professor of Sociology Prentiss Dantzler and his Inequality in the U.S. class recently were featured in a segment titled “Playing the Race Cards” on The Nod, a podcast centered around different dimensions of black life. The podcast includes interviews with Dantzler and several students in his Block 1 class, who played the card game Trading Races, in which players are asked to argue the case for what makes one person blacker than another. Reporting from Dantzler’s class was done by 91.5 KRCC’s Jake Brownell ’12, who also assisted with the production work. The podcast can be heard at 2cc.co/race-cards.